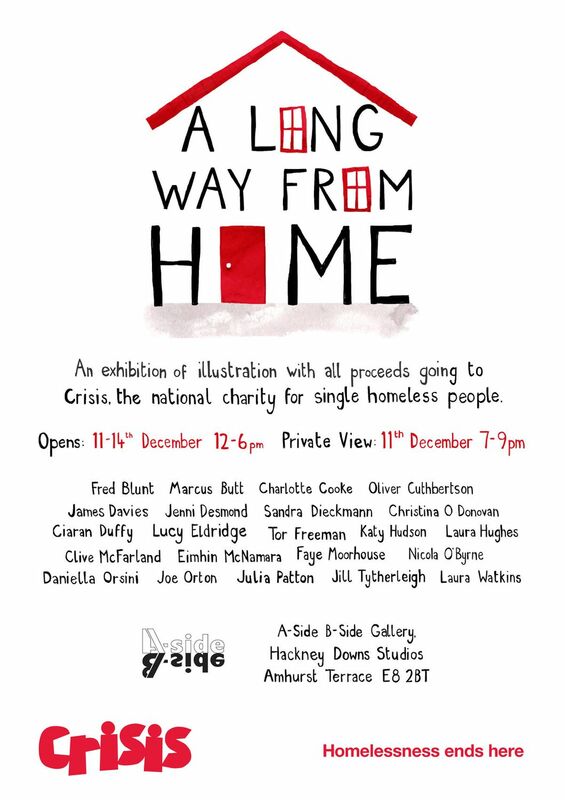 A Long Way From Home: An illustration exhibition raising funds for Crisis, the national charity for single homeless people. All the work, from original paintings to greetings cards is on sale to raise funds for the charity, all at affordable prices. 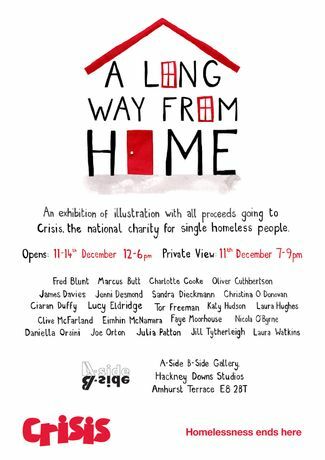 Curated by illustrator and author James Davies, the show features established and emerging talent including Tor Freeman (The Toucan Brothers), Jenni Desmond (Red Cat, Blue Cat) and Sandra Dieckmann whose clients include Random House, Sky and Al Jazeera US.